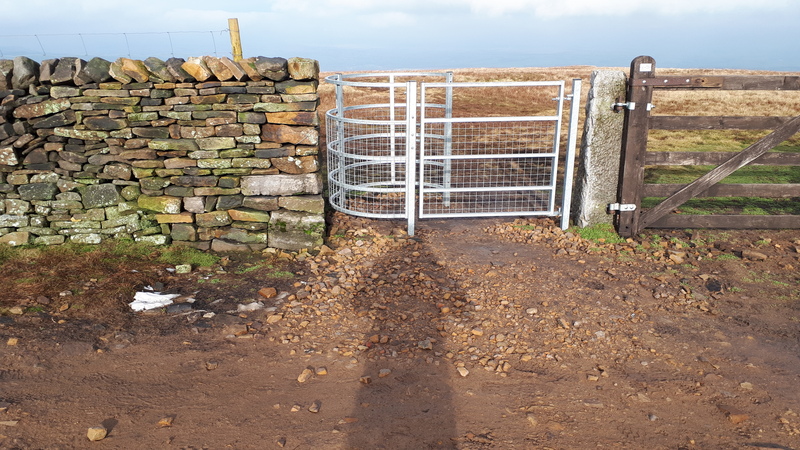 I activated Pendle Hill G/SP-005 yesterday. I now live at Bentham, right on the corner where Yorkshire, Lancashire and Cumbria meet. 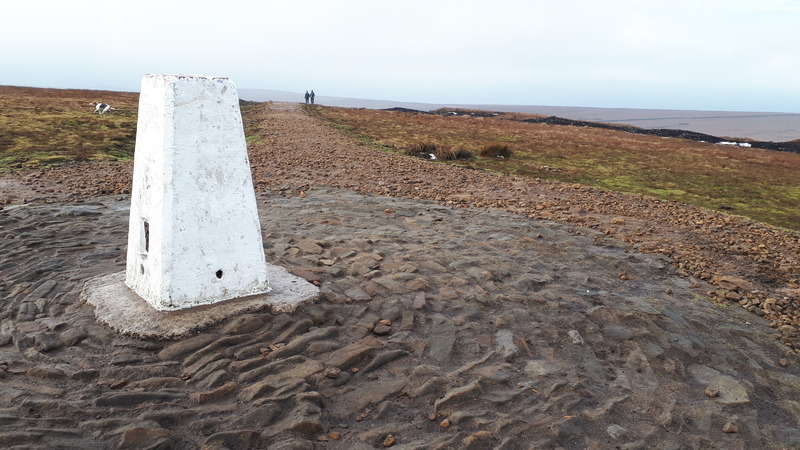 Pendle Hill always has been a winter target for me, I used to live near Haworth and Pendle was one of my nearest 2 pt summits, strangely, at my new QTH, Pendle remains only 45 mins down the road! I just wanted to share a few things about yesterday’s activation. 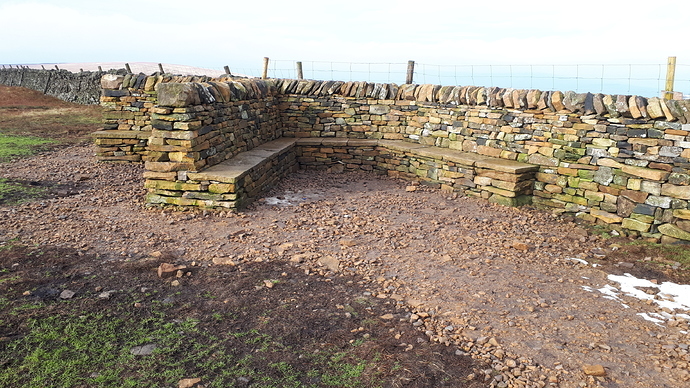 I noticed that there has been quite a lot of work done to the footpaths and also a summit shelter has been built. The summit shelter is north of the trig point by quite a distance but as the summit is quite flat, the shelter is within the activation zone. 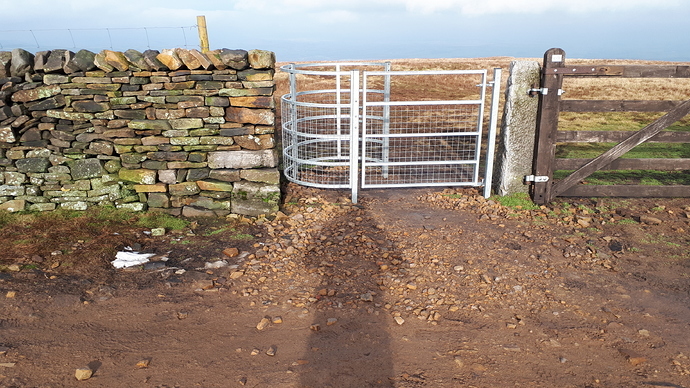 Photos of the new shelter and paths. During my activation, I attracted the attention of what can only be described as a lid on 40m CW. Firstly, the lid called me at 30 wpm, even though I was running at 20 wpm and asking for a repeat from a specific station. Secondly, even though I was trying to respond to someone else entirely, my lid kept sending his 30wpm call sign over and over again. Thankfully I was able to make the contact with Kurt HB90AFI/P on HB/VD-034 for a nice S2S. Apologies to Kurt if I seemed a bit flustered, but it came good in the end. What made me chuckle afterwards was that I looked up the lid on QRZ.com and his page is dedicated to cause of courteous operating! lol! On my descent I was asked (for the umpteenth time that day!) what the purpose of my pole was by a pair of walkers. It turned out the walkers were from Country Walking magazine. I explained about SOTA and radio and they seemed to be geniunely interested. I’ll have to look out for a feature about Pendle Hill in the magazine! It was a good activation, 40m CW provided a small, steady stream of callers, but 20m was pretty lifeless. The weather remained dry until I got home. What made me chuckle afterwards was that I looked up the lid on QRZ.com and his page is dedicated to cause of courteous operating! lol! 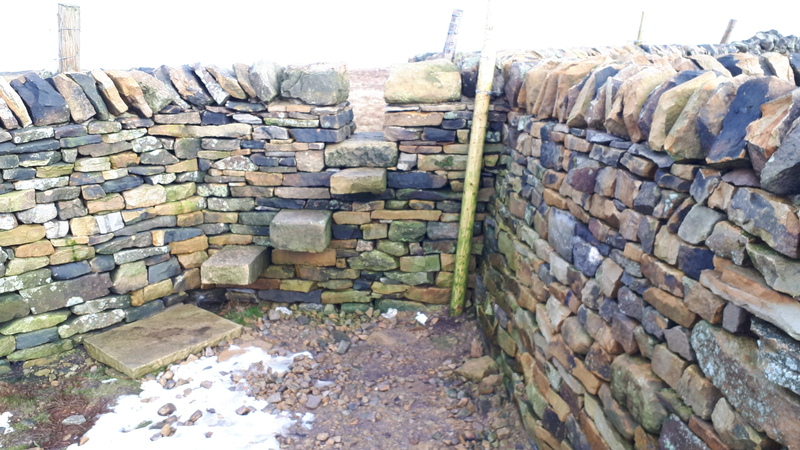 Thanks for the photos Colin, the sight of those fresh dry stone walls is uplifting! Nice looking summit, I did have a listen for you on 20 in VK6 but sorry no go. We’ll get there some day, you might be old and grey and I’ll be much older and greyer. Thanks for the pics. It is a while since I activated Pendle but wow, what a difference!! Well done to whoever did that hard work. The new shelter looks smart. I have an affinity for Pendle Hill, it was the first proper hill I ever climbed with a school party on 29th November 1964. I was 12 years and one day old on that very day. 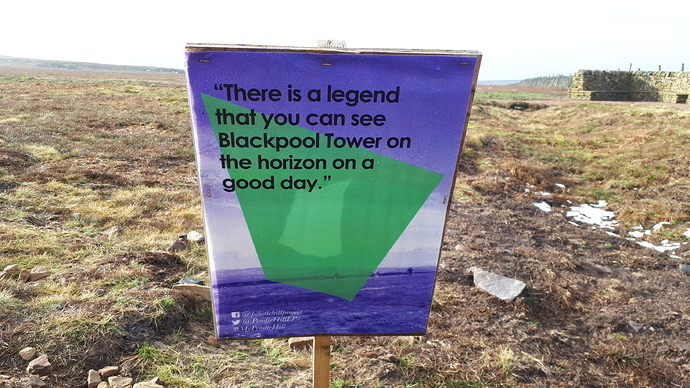 PS I expect the shelter has been positioned north of Big End to take advantage of the view towards the north and Blackpool. The wall / fence barrier to the north is at over 540m and the summit 557m. Thanks for the report Colin. Could only hear a few characters from you…qsb kept taking you away. Heard the lid who kept sending his callsign over and over. Phil - but we did work! I answered you by name and you did likewise! Pendle Hill was the place of my very first SOTA activation some 15 years ago. 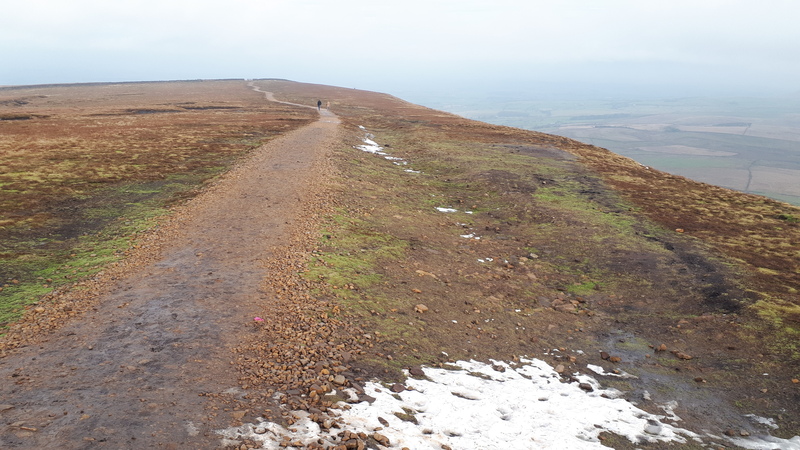 I was impressed by the paths, the ascent is much easier now, I remember that in the past I have thought that Pendle was one of the hardest hills to climb, even considering some Lake District ones! Crikey, just thinking back how much has changed, I’m glad that I’m not hauling a 15’ aluminium mast and SLABs up hills any more! Sorry Allan, I know that 40m is long at the moment. Unfortunately my 80m dipole is broken and I need to fix it when I get a soldering iron up and running. Planning to make good use of winter bonus points, so hopefully we can work in the near future. Brain fade Colin - my mistake - we did work at 11:02z and I logged the QSO in the database last night. I remember doing Pendle Hill when I first stated activating in 2005. Coming down it then encouraged my XYL to get some walking poles, and she’s used them ever since, I followed soon after and got poles also. Now I’ve seen your pictures I’m hoping to get back To Pendle myself this year and take a look at the shelter with my own eyes. Excellent workmanship and a nice mix of colour in the stones used. Nice Pictures Colin and I always like how they build those nice stone walls in UK.